If you plan on hitting the road for extended travel, chances are you are going to take at least one electronic device with you. From cell phones, digital cameras and video cameras to eReaders, iPods, and laptops, chances are your electronic devices may be the heaviest items weighing down your pack. One of the concerns that you don’t want weighing on your mind, however, is how to protect not just your physical items on the road, but your personal information as well. 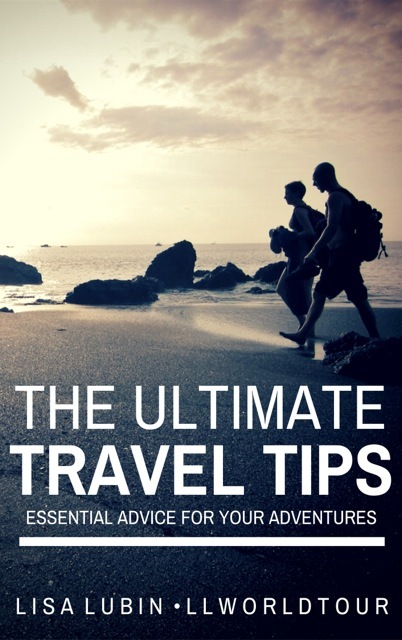 That is where “The Ultimate Tech Guide for Travelers” can help. 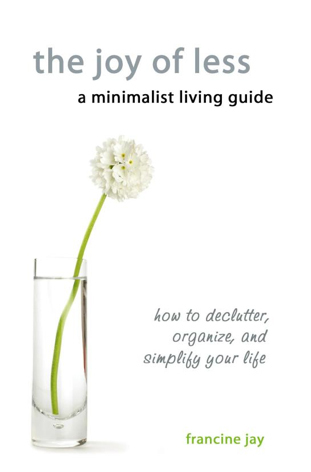 This eBook is packed full of extremely useful information from someone who really knows his stuff – Anil Polat, aka foXnoMad. Before setting off to travel the world with his adorable pets by his side, Anil was a computer security consultant. And through his websites, he offers information on the best ways and gadgets vagabonds can use to stay in touch, save money, and make the most out of any vacation. 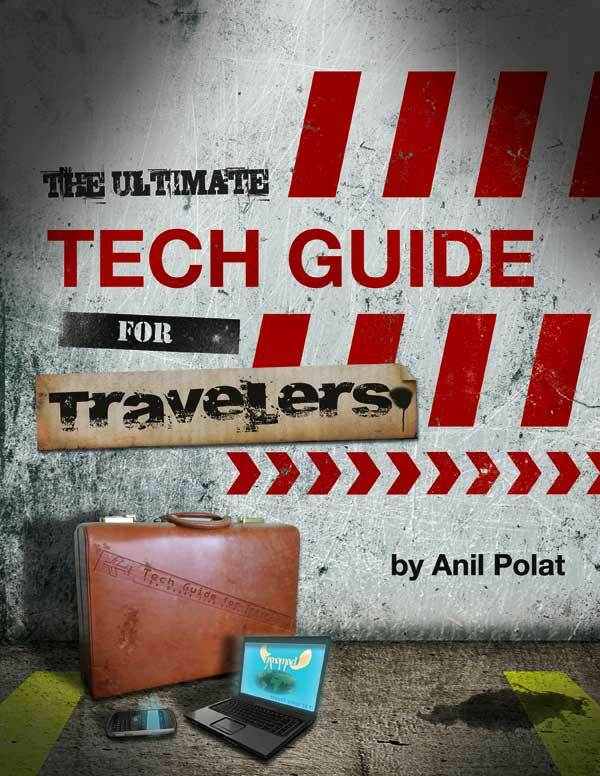 In “The Ultimate Tech Guide for Travelers”, Anil walks you through the various ways you can accomplish just about anything you want from a laptop or electronic device from anywhere in the world. And useful tech tools to help save on travel costs. You may not think this will help you but you may also not imagine the possibility of your computer crashing, devices being stolen, your private information being hacked at an internet café, or the possibility of not being able to access important online information that may be blocked in certain countries. And these tips and more are designed not just for safety but to save you money as well. The best part? With purchase of this eBook, you will also receive 6 months of free personal tech support from Anil as well as a year of free updates. That in itself is a fantastic value for just $37. And we can speak from personal experience. When you face an issue like your site being hacked or run into a coding issue, there is no better person to have on your side than Anil. 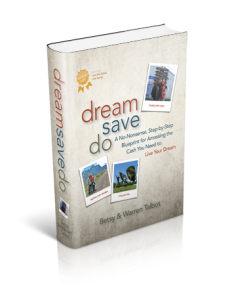 And read our review of his other eBook “Overcoming the 7 Obstacles to Traveling the World”. Editorial disclaimer: We are an affiliate member of Anil’s books and receive a percentage of sales if purchased through our site. We only join affiliate programs of products that we believe in and support. Yet the irony was I was staying in a job I didn’t love, depriving myself of my real passions so that I could simply be like everyone else and fit in. Fit into my company, fit into New York City, fit into my parent’s expectations, and ultimately fit into society; my life was all about conforming. As you read in Steve’s post “Notes from a Briefcase” earlier this week, over the last 4 years I have broken out of that life of conformity and really followed my passions. And guess what – I’m surviving, and happier than ever. Steve also is happy doing his corporate job which takes him all over the world, but provides him a regular paycheck as well as stimulates him. Everyone has different things which make them happy, but the key is – live the life YOU want. 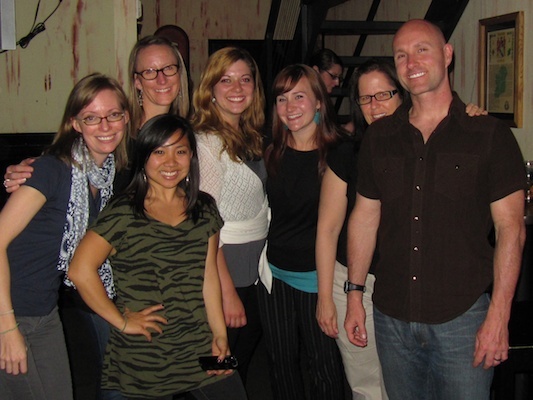 I stumbled upon Chris Guillebeau’s blog a few years ago; he writes on unconventional strategies for life, work, and travel. He espouses the message of ‘you don’t have to live your life the way other people expect you to’ and ‘work should be fun and meaningful’. I felt as if he had been eavesdropping on my inner thoughts and desires. In many ways it speaks to the Briefcase to Backpack mentality; you don’t have to defer your desires and wanderlust until retirement, why not set your own rules and put career break in your vocabulary. I signed up for his newsletter and have been following him ever since. 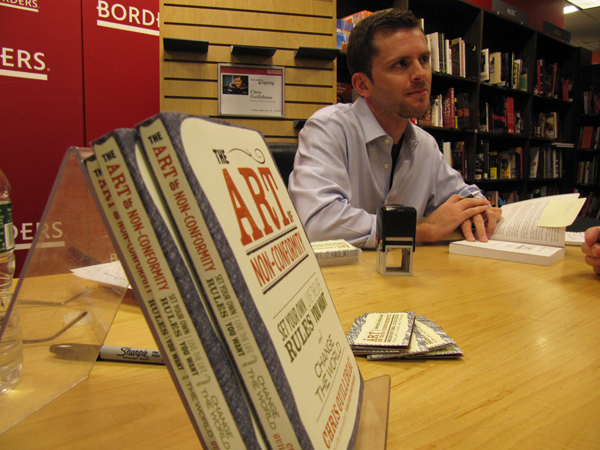 Chris recently moved beyond bits and bytes and became an author; his book The Art of Non-Conformity was released in September. The book goes into more detail on how you can go about setting your own path, your own rules, and find your purpose in your career and life. It covers the idea that career and life don’t have to be mutually exclusive. Sure – that’s easy to say; we all strive to spend our time doing things we love, but something stops us from doing that; normally it’s the expectations of others and our own desire to conform. The Lost Girls: Three Friends. Four Continents. One Unconventional Detour Around the World. Or as we like to call it here at Briefcase to Backpack – a career break. One of these Lost Girls shared with us the struggles she faced letting go on the road: Amanda Pressner – Losing Myself on the Road. And now with the release of the book, we are able to learn much more about her career break experience, and those of her fellow travelers Jennifer Baggett and Holly Corbett. Whether they were running away from something (Jen), searching for something (Amanda), or seeking adventure (Holly), The Lost Girls took a leap of faith together and ventured off on a global journey that took them to South America (Peru & Brazil), Kenya, India, Southeast Asia (Laos, Thailand, Cambodia, Vietnam, Indonesia) and Oceania (New Zealand, Australia). Like many career breakers featured on our site, The Lost Girls were on the expected path in life, but questioned whether or not that was the right one for them. 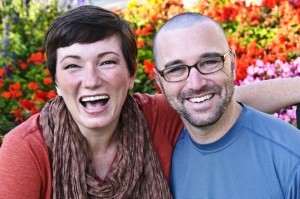 They hoped that life on the road would help them gain the perspective they were looking for. What is fascinating about the book is how we are able to delve into their hearts & minds and how the same journey is interpreted & experienced in three very different & unique ways. The Lost Girls do a great job of sharing their experiences – including the struggles & triumphs, the ups & downs – while still maintaining their individual voices. Not only do they guide us through their actual travels, but they open up to how each experience was affecting their own internal journeys. 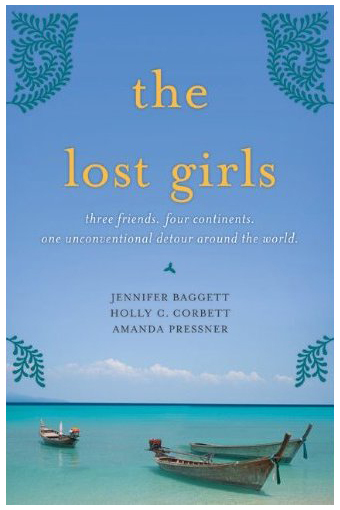 Jen, Holly, and Amanda - aka "The Lost Girls"
And by sharing their thoughts and feelings about each other demonstrates the power of having a support system when taking such a huge risk in life – whether that is one on the road, back home, or both. Though it’s not always easy to travel long-term with one partner, let alone two, they were able to utilize each other’s strengths throughout and lean on each other during their weaknesses. 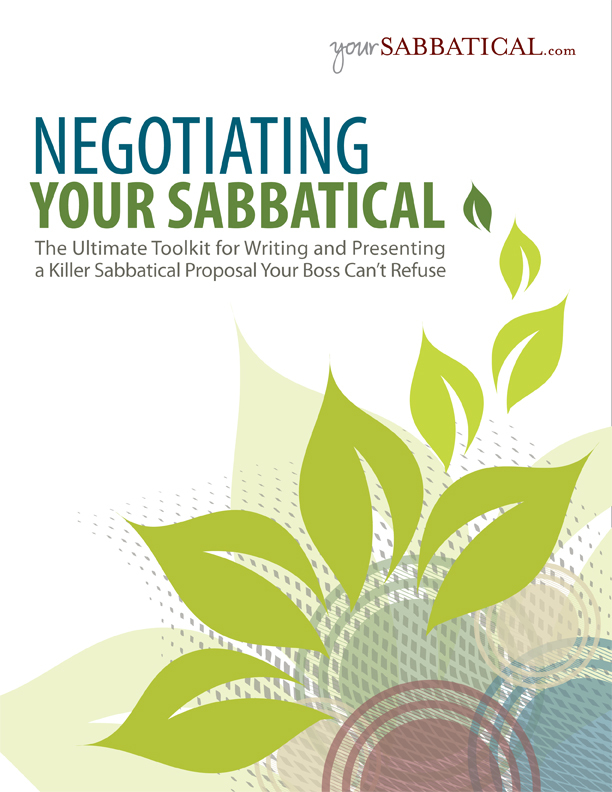 For the armchair traveler or workaholic, their story may be unique. But it fits right in here at Briefcase to Backpack. They touch on the circumstances that brought them to this point, the steps they took in planning & preparing, and even a glimmer of their reflections afterwards. 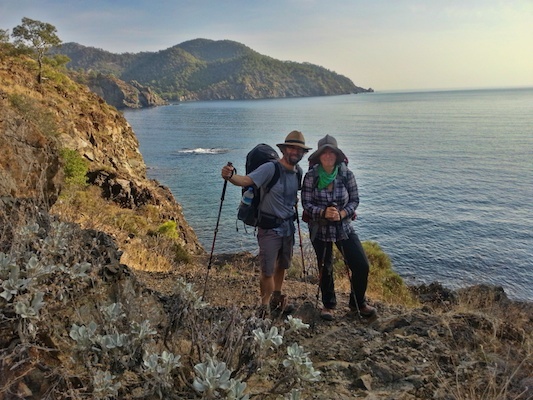 But the main crux of the book covers life on the road – and not just climbing Machu Picchu, volunteering in Kenya, surviving the trains in India, and bungy jumping in New Zealand. But also the struggles they faced letting go of their careers, loved ones, and sense of identities in order to gain new insight into themselves. As they learn, the road doesn’t always have the answers to the questions you seek, nor will it serve them up on a nice silver platter. But by the end of this journey they realized that it wasn’t over, and lessons learned would only serve as guides as they navigate through the next steps of their lives. Something every career breaker should embrace. The Lost Girls: Three Friends. Four Continents. [singlepic=1563,325,,,right]These days many people who venture off on RTW travels tend to keep a blog. Whether it’s to keep in touch with friends & family or share their experiences with other travel dreamers, blogs have become a common place for detailing trips. In addition to blogs, it’s just as important, if not more so, to keep a handwritten travel journal, especially if you are embarking on a trip for self-exploration such as a career break. 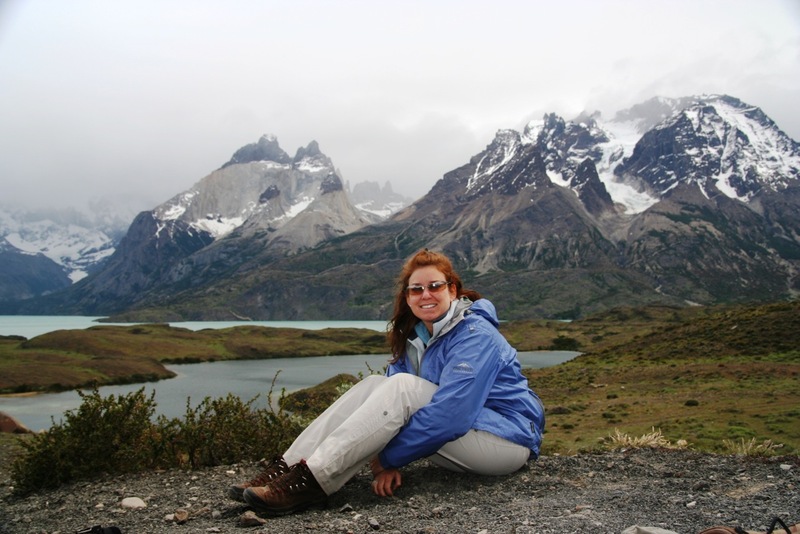 Blogs are great for sharing details of your hike up Machu Picchu and the crazy street food you tried in Cambodia, but a journal will allow you to open up more about what those experiences meant to you in your journey for self-discovery. And even in this day of sharing just about every aspect of your life online, there are moments that you will want to keep to yourself. In her book, Writing Away: A Creative Guide to Awakening the Journal-Writing Traveler (Travelers’ Tales) , Lavinia Spalding offers advice on using your travel journal to help you through personal development, starting with even the most basic of steps: selecting the ideal journal and writing device for yourself.